Cyber warfare. 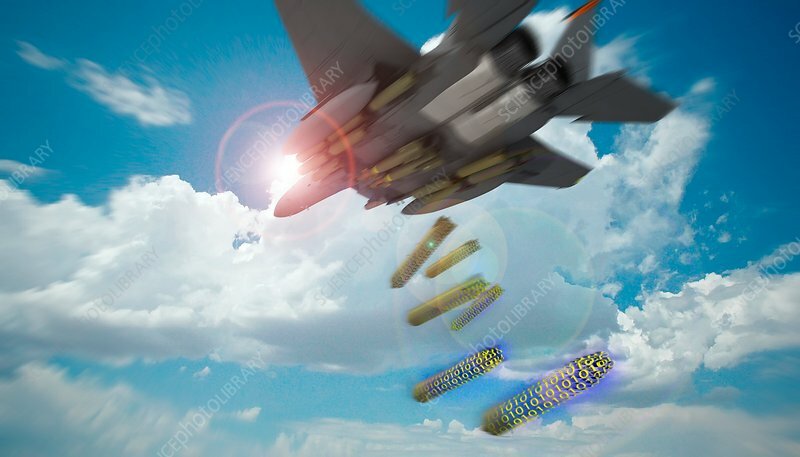 Conceptual illustration of an aircraft dropping bombs with computer binary code. This image could represent forms of cyber warfare and terrorism, as well as the use of computer-controlled drones to wage war. Cyber warfare includes the use of computers and programs such as computer viruses to carry out attacks on networks of computers. Where systems are heavily dependent on computers, this can cause widespread and large-scale disruption.